I’m late with last week’s ring because it turned out to be a lot more involved than I thought it would be. This is by Jim le Fevre. 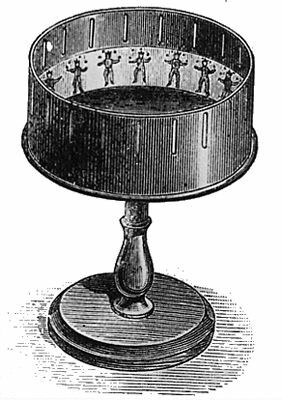 I think he was the first to come up with the idea of this 3D zoetrope on a turntable running at 45rpm. This one nailed it for me. 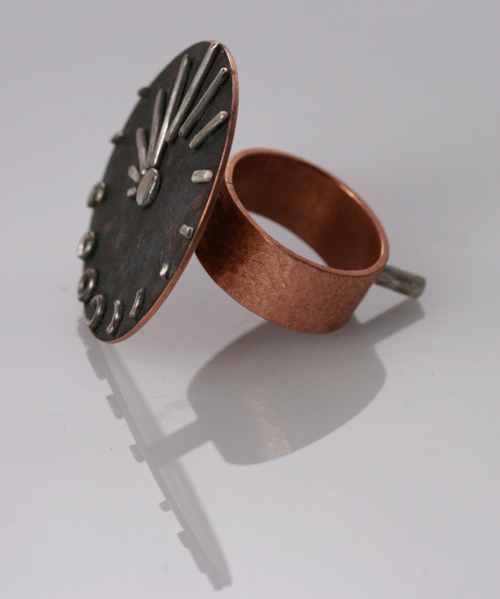 I was hooked, and I really wanted to do a 3D zoetrope ring! Pretty soon you know, it was no longer about the ring, but about the process and trying to figure out how to make it, and how to adapt it to a ring. Mark helped a lot with filming it. We borrowed a friend’s fancy digital video camera and played around with the settings until we got it right. Then I had to get a crash course in iMovie to edit the darn thing (that’s why I was late…) And here is the result, spinning! Wow, I learn so much when I read your ROW blog. Thanks! 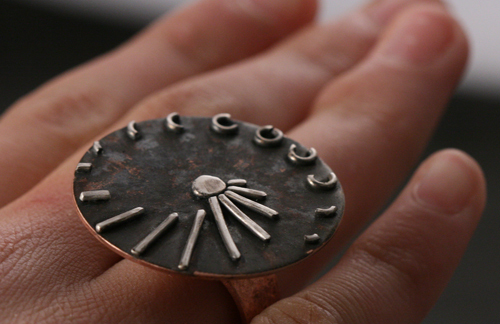 I want to see the ring in person. Thanks Janice! I had a great time with it. Are you back at Ring a Week?